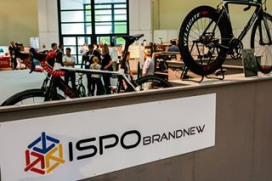 MÜNICH, Germany – The ISPO Bike Show will feature the Brand New Award, a competition among young business entrepreneurs selecting the best newcomers in the bicycle industry. A total of 11 new companies from 17 countries entered their innovations. The majority of the submissions came from Germany (39%), followed by Great Britain (11%) and the USA (9%). The entered products were mostly from the E-Bike and Urban Mobility segments. The jury of experts selected the best newcomers from all entries. These finalists will have the opportunity to present themselves at ISPO Bike 2013 at the Brand New Village.